Breakfasts can get exciting especially when you know what to prepare. 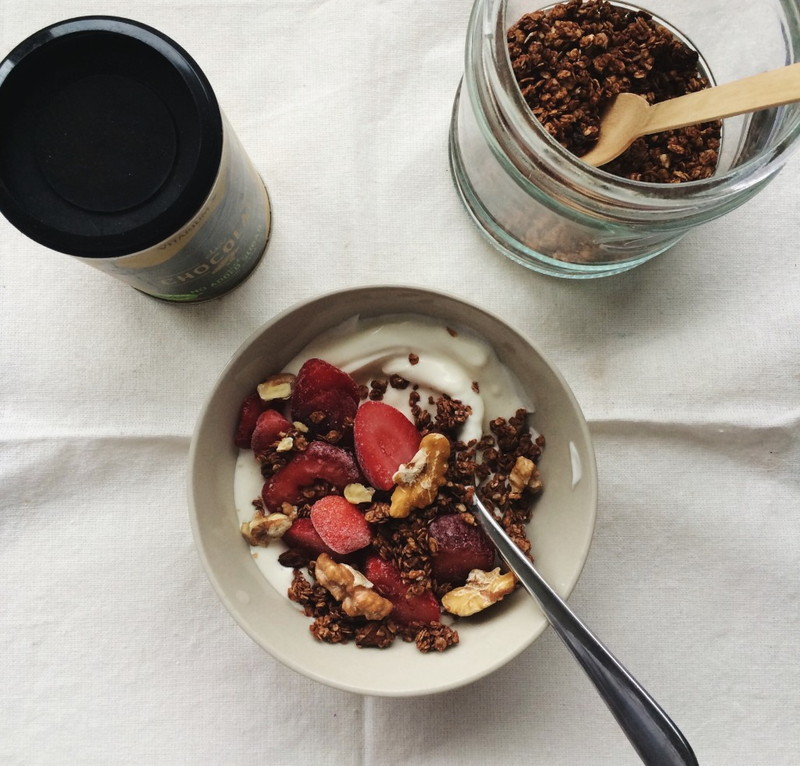 If you’re looking for a deliciously energising way to start your day, do make this chocolate almond granola by Nourish_And_Evolve. Besides being easy-to-prepare, it’s also vegan, dairy-free, egg-free, and gluten-free! What are you waiting for – create one for yourself and have one of the best breakfasts yet! Pour wet mixture over the dry ingredients and stir until everything is coated with the oil/syrup. Bake at 160C for 15-20 minutes. Take granola out and let cool completely. Store in an airtight jar.